• Any 2-stroke kart engine of any brand including Rotax can be traded-in. 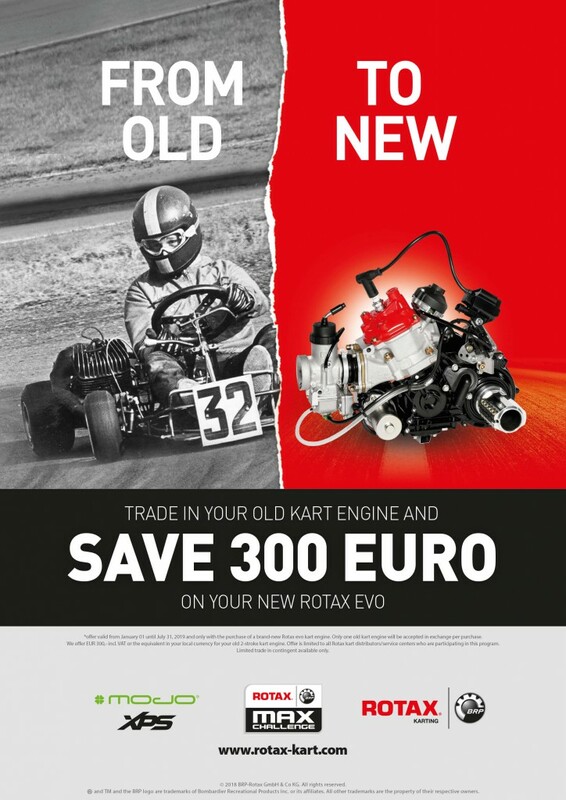 • For every purchase of a new engine of the Rotax MAX evo engine family one engine can be traded-in only. • Trade-in contingent is limited!